A loan of $450 helped to buy feed and other supplies to raise her livestock. Morita is 45 years old and married with 10 children. Five of her children are sent to school. 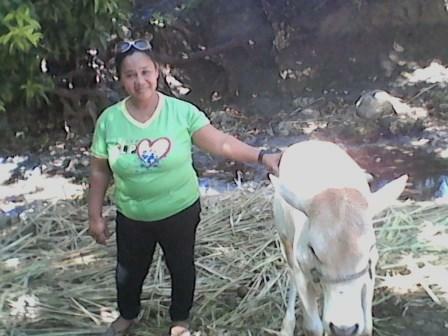 She earns a living by raising livestock in the Philippines. Morita is borrowing PHP 20,000 through NWTF in order to buy feed and other supplies to raise her livestock. Morita has been raising livestock for five years and earns additional income from food vending. She is working tirelessly toward the attainment of her dream: to save money to expand her business and continue to send her children to school.